We got new machines at gym!! New pitches with water conexión and TV conexion. Restaurant’s swimmingpool: Water treatment system has been changed to a saline electrolysis system to improve the water quality. Restaurant’s swimmingpool: Installation of children water slides. 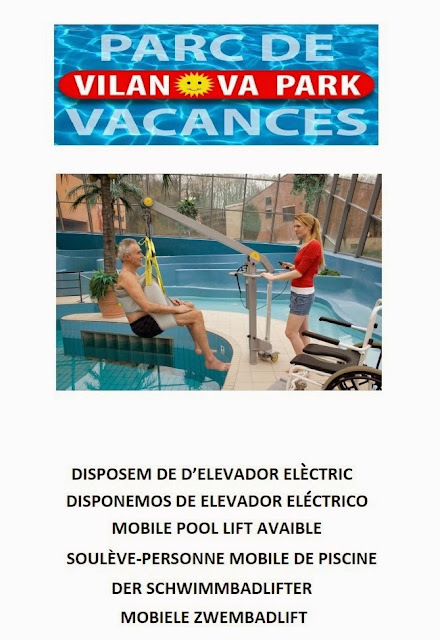 Pools: Mobile pool lift for Reduced Mobility Persons available. Mobilehomes : New mobilehomes with 3 bedrooms. Bungalows : New bungalows type S-430 with 3 bedroom and TV. Bungalows : Types S-500, S-800, S-900 and S-950 with TV. Bungalows : Redecoration and TV in S-600 type. Wifi : Definitive improvement on Wifi connection.